Wayne Maxwell quickly went to the top of the charts when the session got underway and that was where the #47 Yamaha remained until session end. Maxwell was the only man in the 1m33ss this morning. It’s underway! 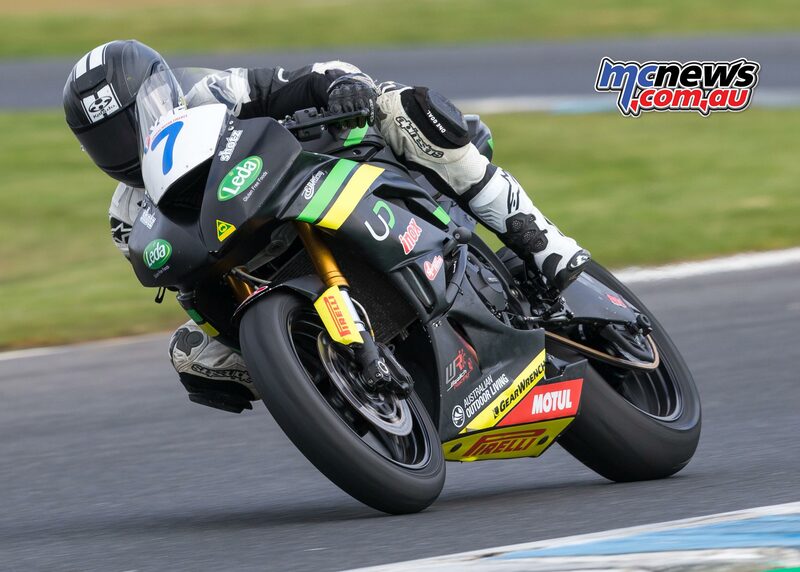 Phillip Island this morning saw competitors hit the track as the seventh and final round of the YMF Australian Superbike Championship kicked off in cool and windy conditions. The white-caps were being whipped up off the coast looking towards Bass Strait and the often changing wind gusts to 35km/h kept riders on their toes as they refamiliarised themselves with the 4.45km ribbon of snaking blacktop that is widely recognised as one of the most daunting circuits in the world. The YMI Superbike class is still fairly wide open heading into this finale. With 51-points up for grabs, one for pole position, plus 2×12-lap races each worth 25-points apiece on Sunday. And with only 25-points covering the top four Superbike competitors anything could still happen. Many riders tested here early last week when they joined regular punters on circuit at Phillip Island Ride Days. Despite no official timing at that test, Waters was reported to have been the pacesetter with a 1m33.2 on the GSX-R1000. 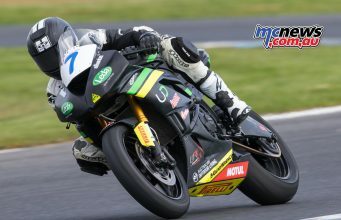 Cru Halliday destroyed an R1 at the test while Corey Turner also fell on the DesmoSport Ducati. 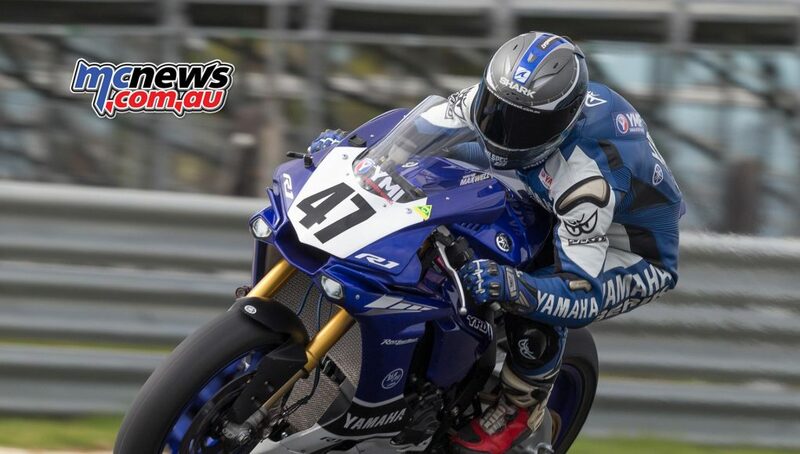 Jed Metcher is making a return to the ASBK ranks this weekend onboard a Race Center Yamaha YZF-R1. Recently crowned Supersport Champion Ted Collins is making his Superbike debut on a NextGen BMW this weekend. 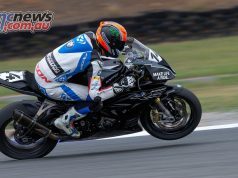 Last year’s Supersport Champion Troy Guenther has ridden a NextGen BMW throughout this season but will not race here this weekend, the likeable young Queenslander obviously just not gelling with the machine. He has collected 88-points this season but those results are not where he, or the team, expected thus they will focus their efforts on Collins’ debut this weekend at Phillip Island. This morning the first of 3 x 25-minute Free Practice sessions for the YMI Superbike class got underway at 1033 with an ambient temperature of 12-degrees. 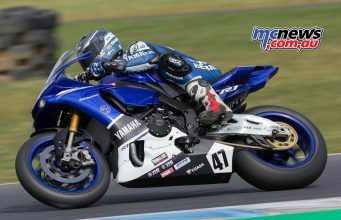 Wayne Maxwell quickly went to the top of the charts when the session got underway and that was where the #47 Yamaha remained until session end. Maxwell was the only man in the 1m33s this morning. Josh Waters was second quickest, his 34.13 half-a-second quicker than Glenn Allerton. Bryan Staring was quick out of the blocks this morning a 34.84 on his fifth lap good enough for fourth quickest ahead of Cru Halliday and Daniel Falzon. Defending champion and current series leader Troy Herfoss was seventh quickest. Robbie Bugden did not test here recently and rounded out the top ten this morning. Ted Collins recorded a 1m37.61 on the NextGen BMW in what was his first ever official Superbike practice session. While the Motul Supersport Championship has already been wrapped up, second place is still in play. Mason Coote has a considerable 28-points advantage over Goulburn’s teenager Tommy Toparis but it was Toparis that proved pacesetter this morning from Mark Chiodo. Chiodo was second quickest this morning and will be eager to finish season 2017 on a high. Chiodo has crashed out of the lead or podium positions on numerous occasions this season but still has a reasonable swag of 153.5-points heading into the finale. 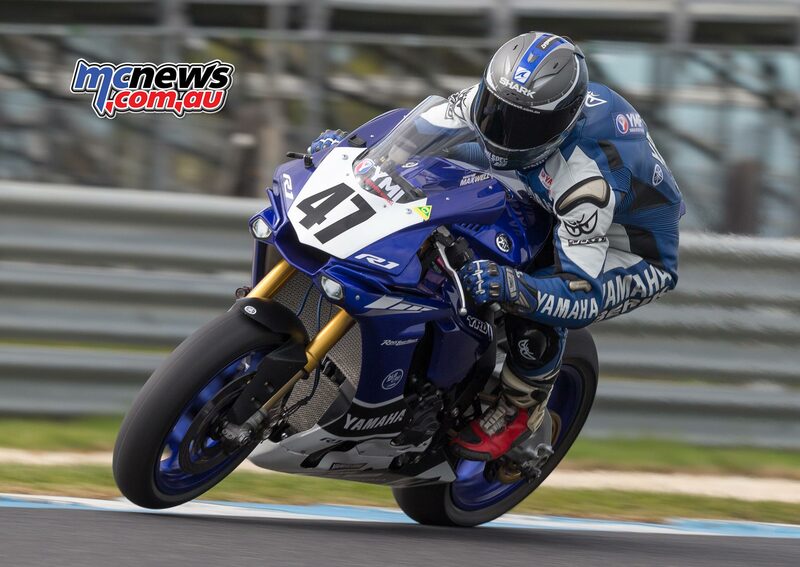 We believe the young Victorian is planning a step up to the Superbike category next season. 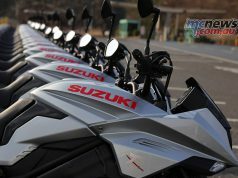 While Reid Battye has already wrapped up the ‘Under 300cc’ sub-category in 300 Supersport, basically the class for Kawasaki Ninja 300 competitors, the ‘Over 300cc’ category, contested primarily by Yamaha YZF-R3 competitors with a few KTM RC 390 machines also filling out the burgeoning and exciting class that is 300 Supersport. Young Queenslander Billy Van Eerde (KTM) currently leads the championship chase in that ‘Over 300’ category but things are tight at the top with Yamaha riders Zac Levy, Jack Mahaffy and Tommy Edwards all in with good changes to take that #1 plate this weekend. Leading the way this morning at a cold and breezy Phillip Island however was the KTM of Max Croker ahead of Edwards and Battye. Championship leader Van Eerde did not make the top ten in the morning session, 1m56.821 good enough only for 17th on the timesheets. 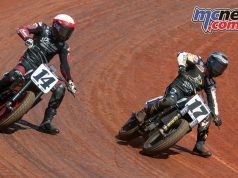 Van Eerde was trying out some new leathers for the first time and was experiencing some problems moving around in them.